Good afternoon. One of our ministries it to provide a meal at the Salvation Army in Charlottesville on the second Tuesday of each month. This is a great opportunity for us to demonstrate Christ’s love in a tangible way. Typically, we meet at Effort around 4 and carpool and finish up by 6. We need your help for our next trip on Tuesday, Feb. 13th. 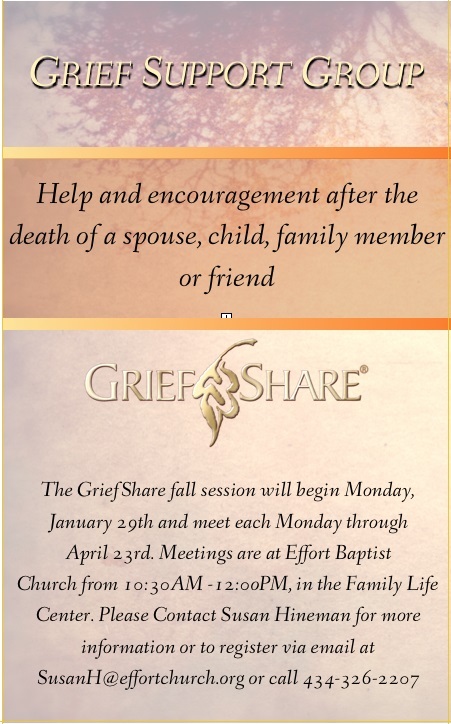 If you are interested and available to help please email me at pastor@effortchurch.org.